Thank you for the FBAR reminder. I won't forget! -- How can I forget? I received the file package yesterday from your office. Thanks! I also thank you for guiding me [in] making the right decision and putting the horrible time all behind!!!! I will have you in a special place in my heart and hope you the best and only the good things! 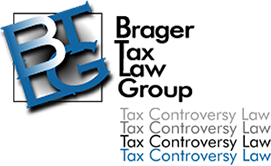 Successfully defended clients against FTB income tax assessment of $716,221, with liability reduced to zero; also prevented clients’ names from appearing on FTB published list of largest tax liabilities in California. Our tax lawyers obtained abatements and refunds of IRS and FTB penalties for failure to timely file tax returns, failure to timely pay tax, and failure to make estimated tax payments for clients due to physical and emotional illnesses, death in family and burden of caring for autistic child; total of $365,243 in penalties and interest refunded to clients. The California State Board of Equalization (SBE or BOE) issued a Notice of Determination to our client, a gentlemen’s club, claiming it failed to report over 4.5 million dollars in drinks, and billed it over $400,000 in California sales tax, penalties and interest. Over a three year period our tax litigation attorneys were able to convince the BOE that all of the sales had been reported, and all of the sales tax had been paid, resulting in the BOE dropping all claims. Our client paid nothing to the BOE. Our client filed a joint return with her spouse, a successful lawyer earning over $500,000 per year. Although he promised her he would pay the $150,000 tax due, he never did. After they were divorced he refused to pay, and when she applied to receive innocent spouse treatment he fought “tooth and nail” to make sure she remained liable for the taxes. Nevertheless, our tax lawyers prevailed, and the Internal Revenue Service granted innocent spouse status. The Internal Revenue Service (IRS) had assessed a Trust Fund Recovery Penalty (TFRP) against our client for unpaid payroll taxes Our California tax attorneys filed a request for a collection due process hearing and convinced the IRS Appeals Officer that its determination that the client was liable for the TFRP was erroneous in its entirety saving our client almost 1million dollars.